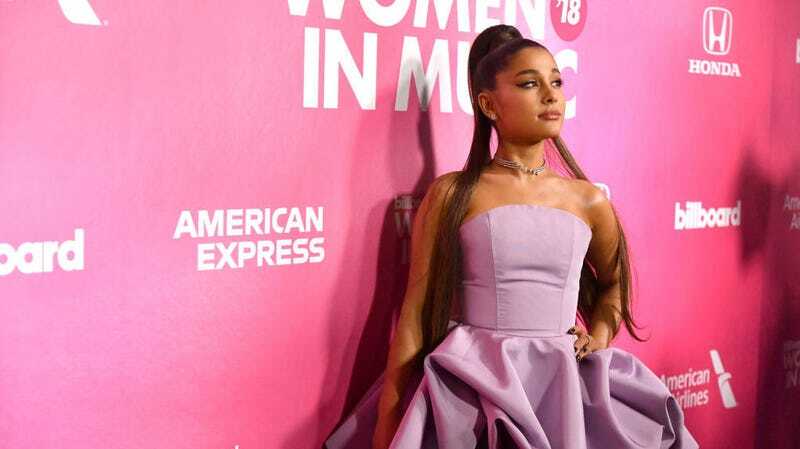 This week, Ariana Grande accidentally ended up with a tattoo that said “small charcoal grill” in Japanese instead of the title of her new song, “7 Rings.” Then the fixing somehow made it worse, so the tattoo now reads something like “barbecue grill finger ♡.” But despite being offered a shitload of money to remove it, she’s keeping the thing. TMZ is reporting that a company called LaserAway is offering Grande $1.5 million to remove the tattoo. Grande tweeted that she’d really rather everyone just get off her nuts about the little BBQ grill. She’s also deleted all her other tweets and Instagram posts about the tattoo, making this the final (and pretty damn succinct) word on the matter. I have many tattoos that I actually want and would have every single one of them lasered from my body for a tenth of that. But Ariana Grande and I are different, in this and myriad other ways.